Are you soaking up the last days of summer this week? I am! We start first grade homeschooling in one week. It has been a truly awesome summer for our family. My husband has been busy with his new business, but way less busy than he was at this time last year. He’s been able to join us in our summer fun much more than in previous years. I love the days of waking up and throwing on a t-shirt and shorts (layering is too much work! ), serving the kids breakfast in their playhouse, watching them splash and play in crazy imaginative ways in our little kiddie pool on the back porch (which they can fill up themselves now…it’s almost like I’ve arrived), and so much more. Summer is my favorite. And I have been reading a lot of books over the last few months, which also contributes to the awesomeness of this summer. As soon as I put one down, I’m picking up another. Can you call that chain reading? I’m inhaling books these days, not stopping long enough to write a review or even process what I’m reading very well. I guess this is my version of summer binge TV watching. This book inhalation will slow down pretty soon (darn), but it’s been fun while it lasted. In the unintentional summer tradition of this blog, here is the 2nd annual Summer Reading Snippets post. 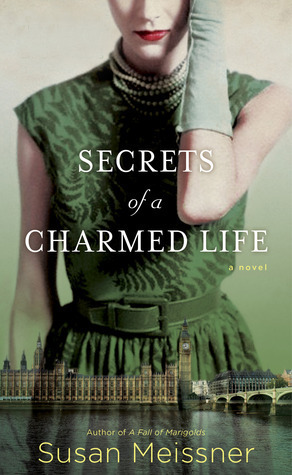 Secrets of A Charmed Life – My 2nd favorite book of the summer! I was totally spellbound by this book. I read this book in a 36 hour timespan. It’s very much like Kate Morton’s The Secret Keeper, but shorter. One thing I really appreciate about this book is that while it is framed by a present day narrator, the bulk of the book is told in the past and does not flip-flop from past to present. I’ve come to deeply dislike all these books that transition every other chapter or so between past and present. Unless the writer is truly masterful, this format is jarring. I like to get fully immersed in a story and setting. Secrets of A Charmed Life is a perfect beach read or curl up by the fire read. Just don’t plan on doing much else for two or three days! Five stars. Henrietta’s War – A quaint mid-century British book that I loved. Full review here. Ana of California – This is a pretty good YA book if you first put out of your mind the claim that it is a “modern day retelling of Anne of Green Gables.” It may be inspired by Anne of Green Gables, but that is the beginning and end of its ties to one of the best books ever written (okay, I am biased. I looove L.M. Montgomery). None of the characters actually match up in personality between the old books and this “retelling.” Okay….so I obviously have some scornful feelings about the “retelling” claim, but I really did enjoy this book. The foster care background and the character development is well done, and I think it calls to light some important themes of caring for parent-less children and forgiveness. 3.5 stars. Falling Home and The Sound of Glass – I picked up Falling Home because it was all I could reach from the sofa one time when I was holding my sleeping baby at the beach house we rented in May. Thumbs down. 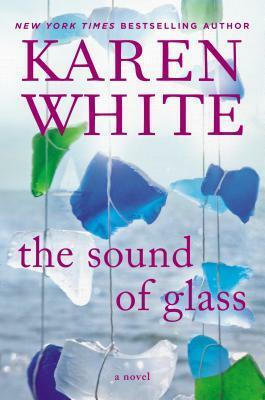 However, The Sound of Glass, White’s most recent book, was pretty good if you like a good yarn. Her settings are always s. Her characters, especially the main characters, get a little predictable if you read more than a few of her books. My favorite book of White’s is still A Long Time Gone. 1 star and 3.5 stars. The Persian Pickle Club – Another beach read, but it turned pretty well. I’ve never read Sandra Dallas’s work, but I found myself comparing The Persian Pickle Club to a Fannie Flagg book, kind of like Fried Green Tomatoes. 3 stars. The Tilted World – I couldn’t finish this book about the Mississippi River flood in the 1930s and some very hopeless moonshiners. It was harsh and raw and great for readers who like Kenneth Follet. No stars because I didn’t finish it. Saving Amelie – I cannot say enough good things about this Christian Fiction novel. I don’t read a whole lot in this genre, but I’m glad I gave this book a chance. Set in Nazi Germany, it’s a look at the sanctity of all human life and how far from understanding that some people in this time era came. In light of recent debates on abortion in our country, this book hit even closer to home than usual, though it has more to do with treasuring children with disabilities than valuing them during pregnancy. 4 stars. 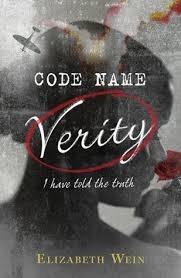 Code Name Verity – Young Adult fiction at its best! I loooved this book. Apparently, WWII was a theme in my summer reading. Oh, who am I kidding, it’s always a theme in my reading. I loved the creative journal format and the varying points of view that instead of making me infuriated, kept me guessing and led to some “aha!” moments in the plot. I’d read this again with my daughter when she reaches about age 15-16 in a heartbeat. 4 stars. All The Bright Places – Two thumbs way, way down. YA at its postmodern worst. Do not read it. It’s being compared to The Fault in Our Stars, but it’s so much worse. That’s all I have to say about that. 1/2 star. The Brontes Went to Woolworths – Erm…this is one of the weirdest books I’ve ever read. I can’t make sense of it at all. I think it’s supposed to be a comparison of three sisters who are like the Brontes but live in the 1940s. Their weird obsession with their current day stage actors just threw me off entirely. I don’t even know how many stars to give it. A Spool of Blue Thread – Ann Tyler is an incredible writer. However, sometimes I get to the end of her books and go, “what was the point of that, again?” She’s an author I read for the beauty of her words and depth of her descriptions and characters, but not so much for the story. Tyler makes me think about writing and about how people live and think in every day life. Garden Spells and The Peach Keeper – Here’s a conundrum: I like Sarah Addison Allen’s writing style, settings, and magical feel but I just don’t like her characters or the decisions they make. One might say they’re very human, but I’d say they’re often plain self-centered. Also, I end up skipping over many pages in her books when she decides to throw in a little romance because it is soooo cheesy and overly detailed. I guess the point is I get why people like her books, but I am not a fan. Yet. She may win me over someday. 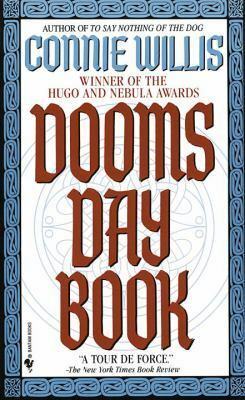 Doomsday Book – I am definitely finishing this book one day. It came due to the library when I was only a few chapters in (I got a little overly ambitious on one library trip and checked out too many books!). I read Blackout and All Clear by this author and really liked them. Divergent – Always late to the dystopian lit parties, I’m in the middle of this one now. I’m not loving it, but I’m too involved to back out now. I’m pretty sure this list doesn’t cover all the books I’ve read this summer, but those are all I can remember right now. Even though I’ll be too busy to read as much as I have the past few months, I’m still a firm believer that Fall and Winter are the best times for reading. So, what have you read this summer? Anything I should put on my Fall reading list? I’m looking to get in a few more nonfiction titles and some classics.